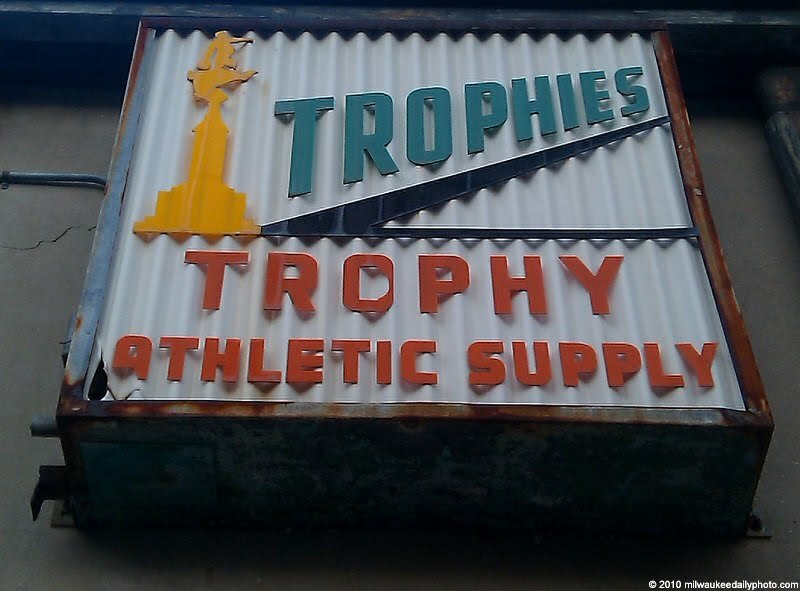 A part of Milwaukee for over 70 years, Trophy Athletic Supply sells awards, promotional items, and, yes, trophies. This sign hangs on the back of the building on 3rd Street, facing an alley and parking lot. I didn't notice until I was prepping tonight's photo that the yellow shape on the sign is a bowling trophy... I suppose that makes perfect sense, being in Milwaukee!